Daniel joined the Avocados Australia team in 2019. His journey into the avocado world began with a love for great food, and a curiosity for what happens behind the scenes from farm to plate. 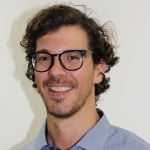 Before moving to Australia and joining the team, Daniel graduated with a Bachelor of Business Economics, and a Master of Operations Research and Logistics, from Wageningen University and Research Centre in The Netherlands. During his studies, Daniel learned all about decision support models and optimisation methods. He is very excited about late advances in Data Science, on which he is currently pursuing further studies, and will have as main goal the refinement of data capture an analysis for the avocado industry. Daniel is passionate about… happy growers and happy consumers, and how they both come together by harnessing data to assist decision making.